Ever see a two-headed deer? Well... this one was carrying around an extra head, at least. 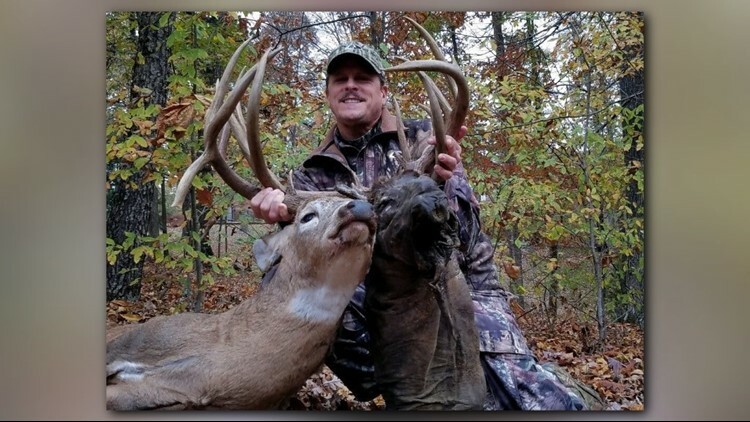 BALLARD COUNTY, Ky. — A Kentucky hunter was surprised after finding what appeared to be a 'two-headed' buck. The Kentucky Department of Fish and Wildlife Resources posted photos of the rare bag. The deer wasn't literally two-headed -- the department said it appeared the buck was carrying around the remains of a decomposing carcass. The antlers of the two bucks had gotten entwined somehow, though the department is not entirely sure what the precise circumstance were that led to the buck carrying around a severed deer head.